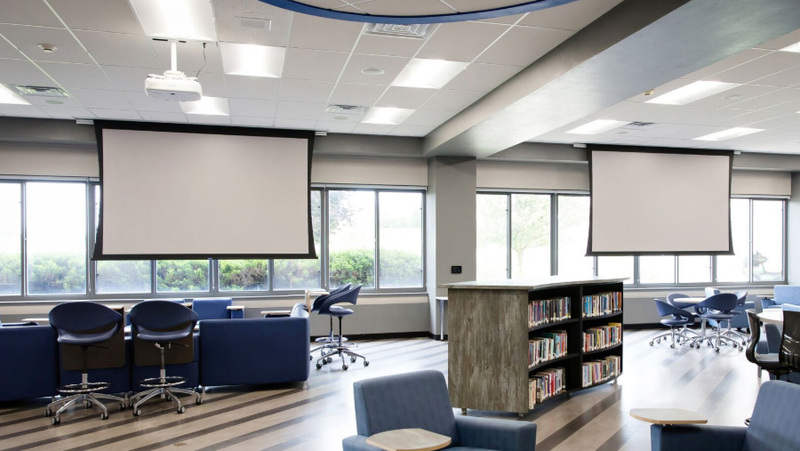 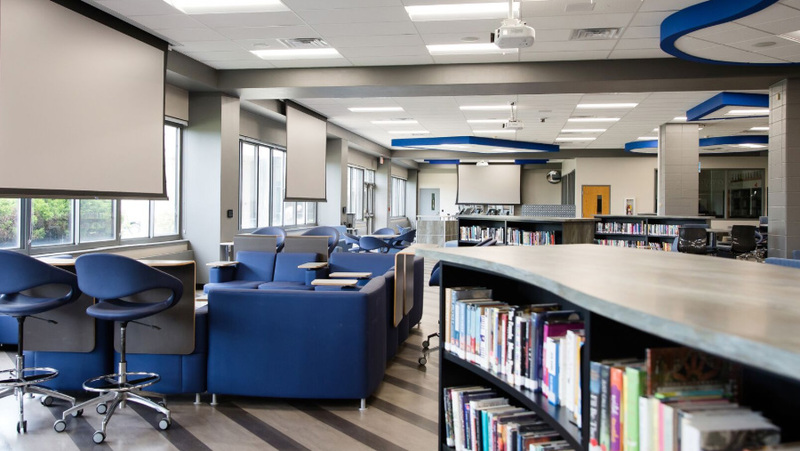 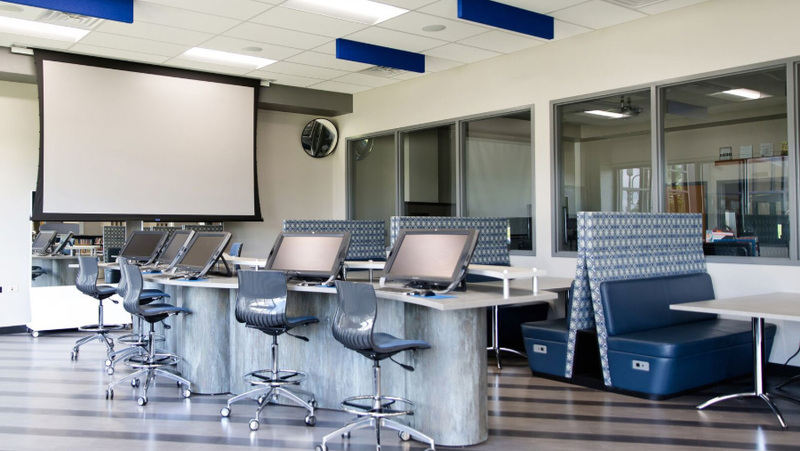 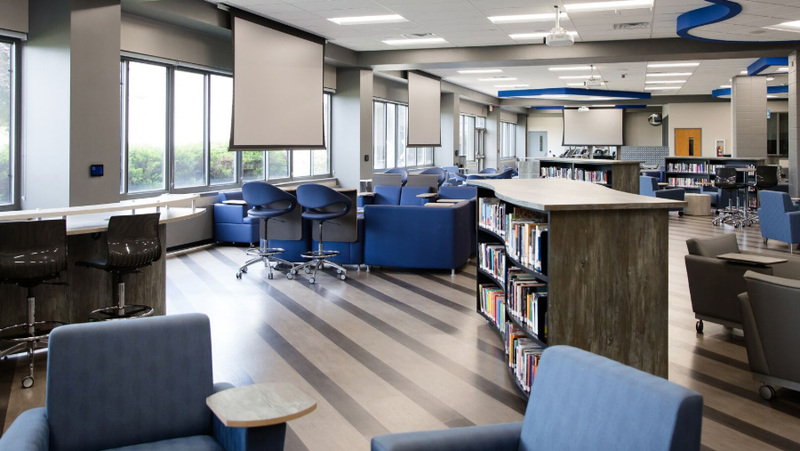 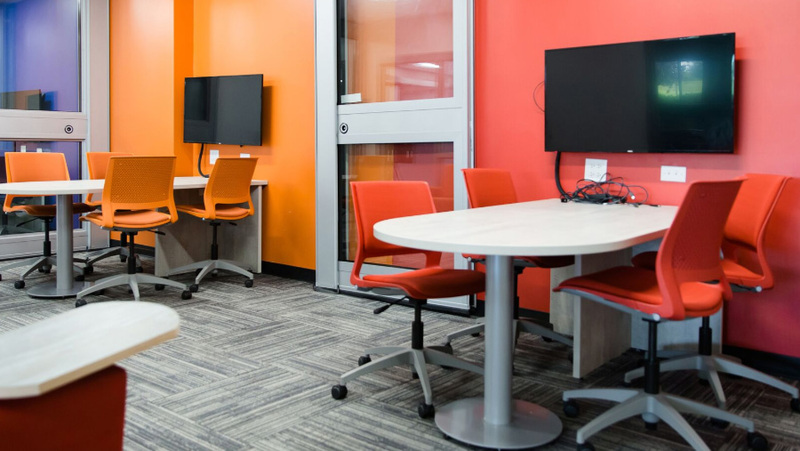 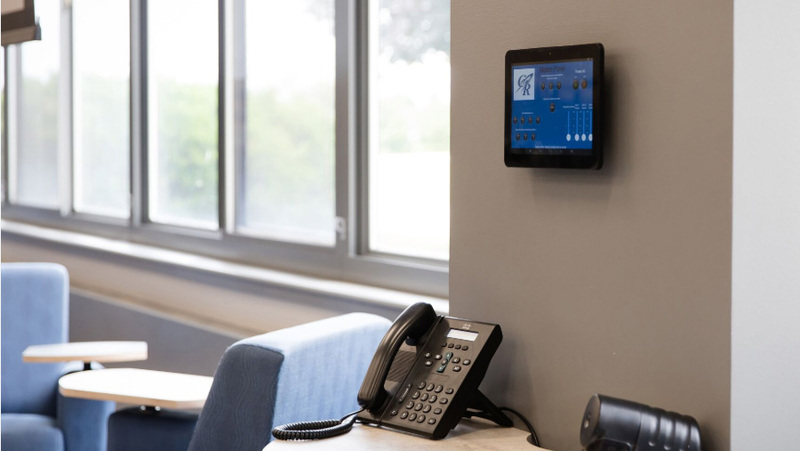 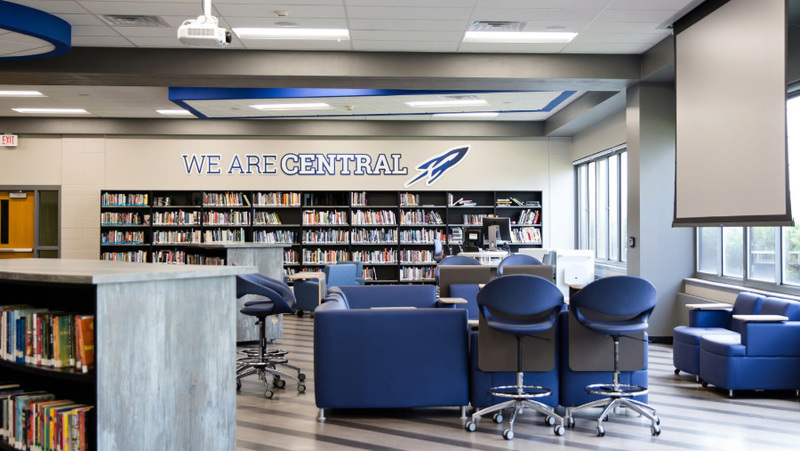 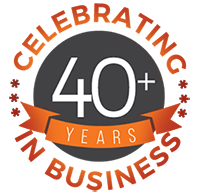 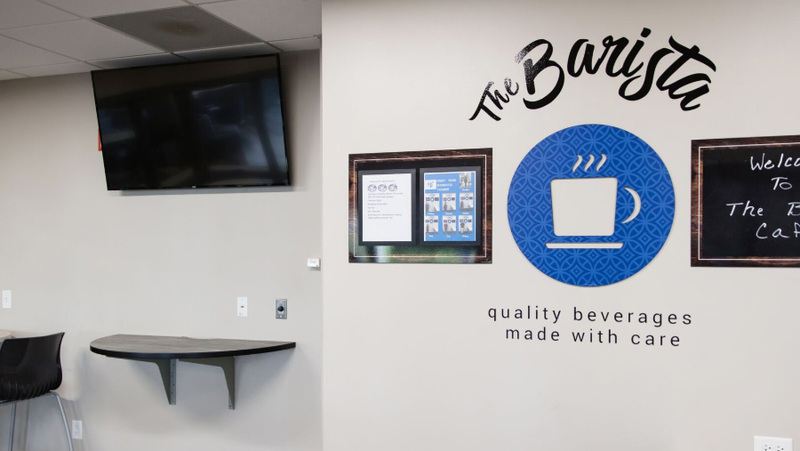 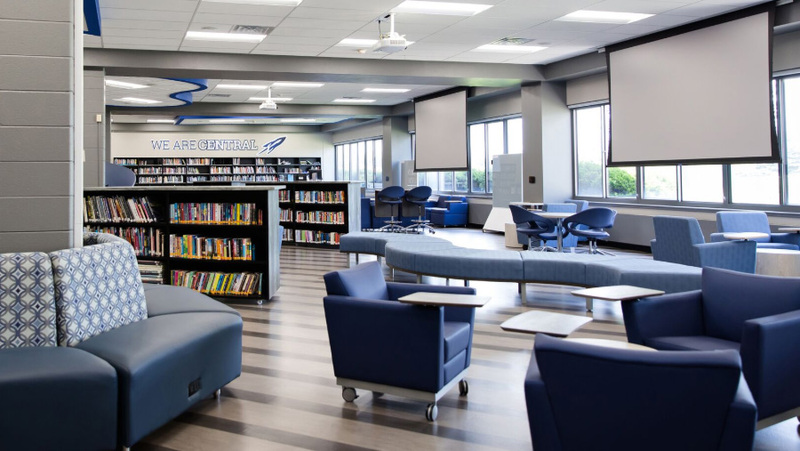 District 301, in Burlington, Illinois, was looking to remodel their High School’s Media Center. 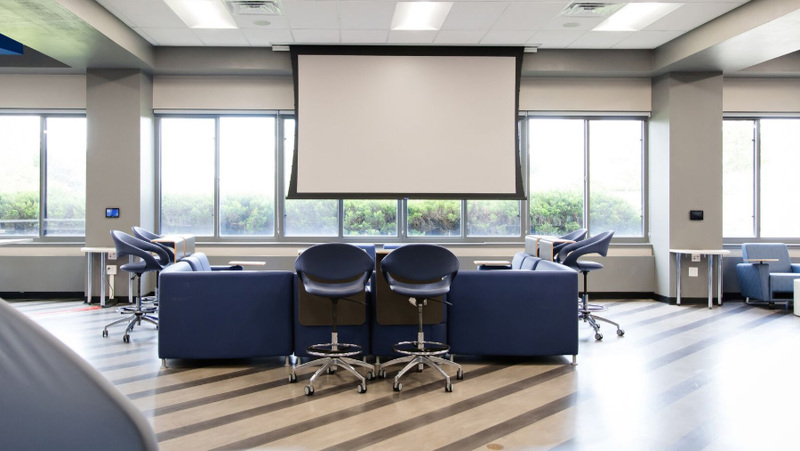 Within the room they wanted three separate zones that could be used by a class or small group meetings. 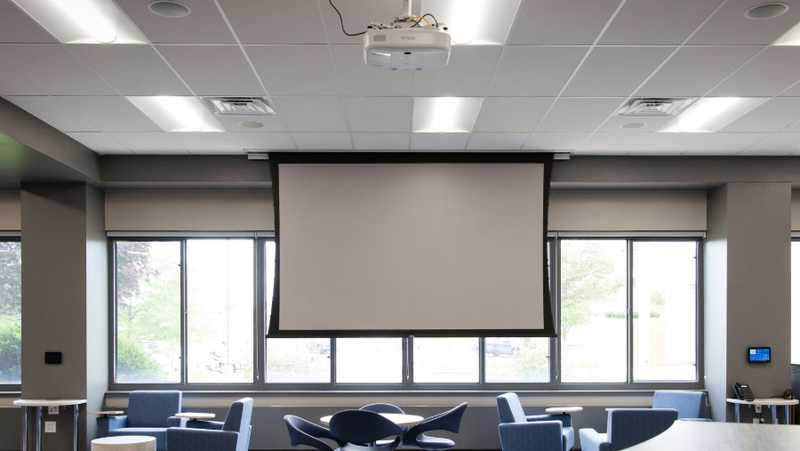 Each zone is equipped with a high lumen projector, a ceiling recessed electric screen, touch control panels, and ceiling recessed speakers for audio in the specific zones. 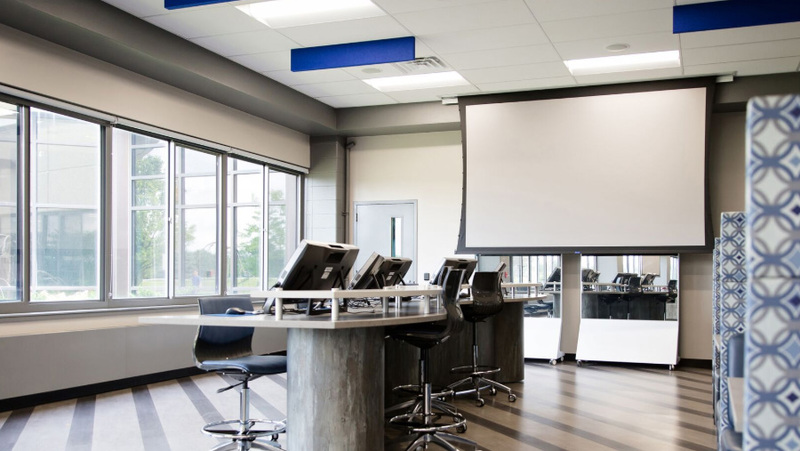 Two XLR connections to the system for microphones when needed in the room.